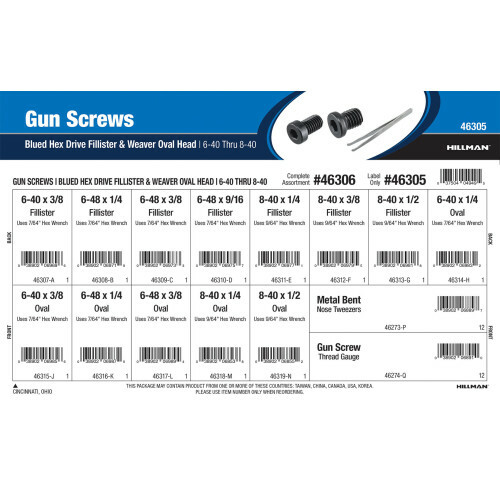 An assortment of blued, hex-drive, fillister and weaver oval gun screws from The Hillman Group. Gun screws are used to repair and mount accessories on firearms. Full assortment contains fifteen (15) refills comprised of Hillman item numbers #46273, #46274, and #46307 - #46319.